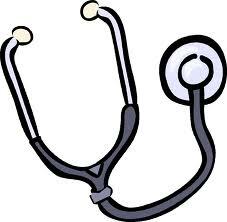 The Uttar pradesh government has decided to appoint 200 new regular doctors in the state to improve the health system. State Health Minister Nasimuddin Siddique said here today 2000 doctors would be appointed soon so that the government hospitals function effectively. He also said those government doctors who do not work would be punished. The minister disclosed that 16 surgeons working in different hospitals in the state capital had not operated a single case in October.'' Such doctors would be taken to task and shunted out of the state capital,'' he said. Reviewing the functioning of the health department in October here, Mr Siddique said till October 2011, the state government has releaed Rs 2500 crore for purchase of medicines for the government hospitals in the current financial year. '' There would no scarcity of funds for medicines and all the government hospitals have been allotted adequate funds for the purpose,'' he said. The minister said the UP government has sought a financial aid of Rs 400 crore from the Centre for fighting the disease of Japanese Encephilites.